For Fernando Martinez, the key to getting the most out of the interim CIO role is simple: “I never approach any job as interim.” The philosophy has served him well, as he now holds the permanent position at Parkland Hospital & Health System, an organization that has earned a solid reputation for its innovation. In this interview, Martinez talks about the groundbreaking analytics work being done in-house, the construction project that will double the size of the hospital, and how he deals with audits. He also discusses why he wanted to come to Dallas — even though it meant leaving Florida, what today’s CIOs need to be successful, and what he gains from teaching. Transitions of care has proven to be a very challenging component of Stage 2 attestation. I think we have a very good program in place, and I feel confident that we’ll be able to address that. The organization had a 20-some odd percentage drop in readmission for congestive heart failures as a result of the use of this predictive analytics engine. So we’ve been very successful in that regard. Physicians augmenting the care by including this predictive risk score were able to take care of individuals that were high risk for readmission and stabilize them before discharging them. One of the things that attracted me to the job here is the ability to work with an organization that is so progressive. As someone who lives in a data-centric, data-driven industry, getting to work with such brilliant individuals is an absolute privilege. Gamble: Hi Fernando, thank you so much for taking the time to speak with us today. Martinez: Hi Kate, you’re very welcome. I’m happy to be here. Gamble: To start us off, can you give some information about Parkland Hospital and Health System — what you have in the way of hospital beds, clinics, things like that? Martinez: Certainly. Parkland Health & Hospital System is a county/state-owned facility. It’s a safety net hospital. It’s an affiliated teaching hospital of the University of Texas Southwestern. Parkland consists of one principal hospital with approximately 720 beds. It operates in Dallas County. We have a very large ambulatory organization, including several large ambulatory clinics throughout the community. We refer to them as Community Oriented Primary Clinics (COPCs). We also have an outpatient surgical center as well as primary providers throughout the community, including schools where we have school-based clinics all over the Dallas County community area. So we’re really a safety net hospital, Level 1 trauma center, and overall community hospital system with an education and safety net mission. Gamble: It sounds like you really run the gamut. As far as the COPCs, is that something where you’ve started to build those or started to acquire over the years? Has that been a big part of your strategy? Martinez: The COPC approach to community care — the ambulatory care centers we have throughout the community — that program started in the eighties, and over the years it has grown. I think we have seven or eight COPCs. These are generally large community centers for primary care. For example, the larger COPCs have a staff of 300 or 400 employees, so they’re fairly large outpatient clinics. They’ve been progressively growing over the years. We continue to identify community needs, and as the needs are identified, we work through the development strategies of expanding our presence in the community to meet the needs of the community. Gamble: Now, as far as the hospital, what’s the clinical application environment? What type of EHR system do you have? Martinez: The Parkland Health System is primarily an Epic shop. 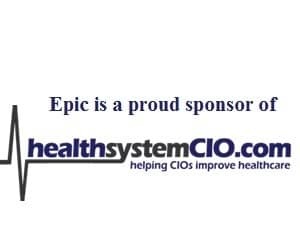 In fact, one of the earlier adopters of Epic, and we use that throughout the organization. This is pretty much an exclusive Epic shop, for both ambulatory and inpatient and revenue cycle and patient access. All of those things are run through Epic. Gamble: And that’s been in place for a while, I would imagine. Martinez: It has been. It was implemented in the late 2006-2007 timeframe. Gamble: Now, as far as Meaningful Use, where do you stand? Martinez: The organization has a very solid Meaningful Use program in place. We’re actually in the process of attesting for Meaningful Use Stage 2. I think there are only eight or nine hospitals in the US that have even done the attestation for Meaningful Use Stage 2. So I know we’re one of the early hospitals in terms of attestation, but we’ve got a very solid program in place and the organization is making good, steady progress. Gamble: There certainly are only a handful who have gotten there. It’s a different animal than Stage 1. Have you found there to be specific challenges as far as Stage 2? Martinez: We’ve experienced the same primary challenge that I’ve heard from many of my peers, both formally and informally, and which has been evident in some of the news rags and discussions online, and that is that transitions of care has proven to be a very challenging component of Meaningful Use Stage 2 attestation. Nevertheless, I think we have a very good program in place, and I feel confident that we’ll be able to address that, but I know that that’s been a pain point across the country. In fact, some people are speculating, because I’ve seen some of the notes online in different forums and chats going on, that there’s some pressure to have CMS potentially provide some measure of relief as it relates to that. Gamble: It’ll be interesting to see. I’m sure that it’s surprising the number of organizations that have attested to Stage 2 at this point. I’m sure they thought it was going to be higher. Martinez: Absolutely, and I feel pretty confident in saying that the transitions of care probably stands as one of the most significant barriers for organizations to reach a point where they feel they can attest. Gamble: How have you been able to do well in that area and avoid some of those challenges with transitions of care? Martinez: It’s a combination of things. I don’t know that I can do it justice, but I’ll share with you some of my personal thoughts on why it is that we’ve been able to make the progress that we have. First is that because we’re in an environment where we are the lone safety net hospital, there’s some very unique opportunities around how it is that we handle the discharge dispositions of our patients. There’s a more finite set of destinations that our patients go, and so dealing with transitions of care for us perhaps is a little bit more narrowly defined, and that’s allowed us to have a better opportunity to address that need. The other is that there really is a very high, pervasive adoption rate of technology in our area. We’ve got several organizations that we have transitions of care to that are very high technology adopters as well, so that creates an environment that’s conducive for ease of transferring. A couple of things like that have positioned us well in comparison to other organizations that don’t have those types of benefits. Gamble: I read that Parkland was using data to reduce readmissions for heart failure patients and I just wanted to talk a little bit about that, and perhaps some of the other ways that you’re using analytics or planning to use analytics. Martinez: A few years ago, around late 2009, a Parkland-trained physician who graduated from UT Southwestern and stayed on to practice, Dr. Ruben Amarasingham, was performing some chart audits and manually performing chart audits. He came up with the notion that there was data available in these charts that, if the information was algorithmically analyzed, we could make some good predictions regarding what the outcome of care would be associated with that particular patient. And so Dr. Amarasingham founded what is now widely recognized as the Parkland Center for Clinical Innovation or PCCI. He got several researchers together and they started writing a software product, which we’ve trademarked and is now in the process of going commercial, called PIECES. This predictive analytic software system that was developed here in Parkland was developed in our Epic environment. It takes 36 discrete data points for in-house or inpatient individuals. The original work was done on congestive heart failure patients, and what it does analyze in near real-time those 36 data points, and it’s looking for a convergence of those points in a particular way. As a result, it analyzes these 36 points and provides a risk score or a measure that is in turn used to determine whether there’s a high likelihood or probability or predictive onset of conditions. What that effectively does is that predictive analytics engine returns a score into the Epic EMR system, and if the score is beyond a particular threshold, the physician or the caregiver knows that there’s a very high likelihood that the individual would have a congestive heart failure episode and would end up having to be readmitted. As a result of the work that was done here, what they concluded was that physicians augmenting the care by including this predictive risk score were able to keep individuals and take care of individuals that were high risk for readmission and stabilize them before discharging them, or correct the issues before discharging them so that the net effect was a very substantial drop in readmission as it relates to congestive heart failure. The fact of the matter is that the published study, which is available online, demonstrated that the organization had a 20-some odd percentage drop in readmission for congestive heart failures as a result of the use of this predictive analytics engine. So we’ve been very successful in that regard. We’ve spun that off into an independent nonprofit and we’re in the process of taking the PIECES application commercial. There’s a lot of interest from around the country from many hospitals and organizations that have contacted us trying to see how we can extend that system to them as well. Gamble: Right. That really makes sense — this whole idea of sharing those best practices and not having every organization have to reinvent the wheel especially with something like using data to reduce readmissions, which is such a huge priority for so many organizations. Gamble: Having the Center for Innovation, I would think as a CIO that’s a really great opportunity to have access to this kind of research and to be part of an organization where innovation is such a priority. Martinez: Absolutely. Certainly one of the things that attracted me to the job here is the ability to work with an organization that is so progressive. As someone who lives in a data-centric, data-driven industry, getting to work with such brilliant individuals is an absolute privilege. So for me, this was incredibly interesting. And many of my peers have approached me with questions about how this works and all of these types of things. So I know there’s a lot of interest, and for me, I just feel very privileged to be here and working with them. That’s absolutely the case.